This tall modern arrangement is a perfect contrast of red and green floral with various Orchids (including James Story Orchids,) Tulips, Snap Dragons and more. Itâ€™s a great office piece or gift for the more extravagant giver. 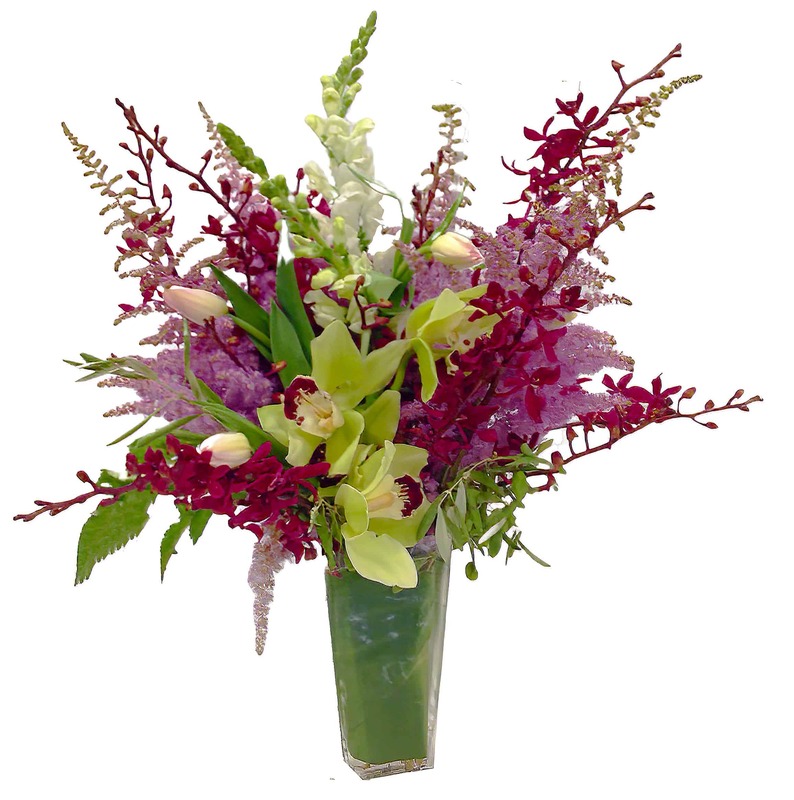 This large arrangement is sure to make a 'WOW' impression!